Still fascinated and in awe after watching the latest episode of this drama. Wow. The author of the novel is such a genius to be able to write such a detailed story with a mix of fictional and real characters in a fictional setting. Kudos to the scriptwriter, who is able to bring out the best from the novel and the whole production team for producing such a great sageuk. Not to mention the characters and actors/actresses, who I’ve come to love so dearly. Minister Lee staggers outside of the shack where he met Ga Ri-On earlier, and Minister Jang asks him what is going on. Minister Lee walks away and completely ignores the young minister, clearly still shocked from the revelation. Ga Ri-On enters his house, only to find Moo-Hyul waiting for him. 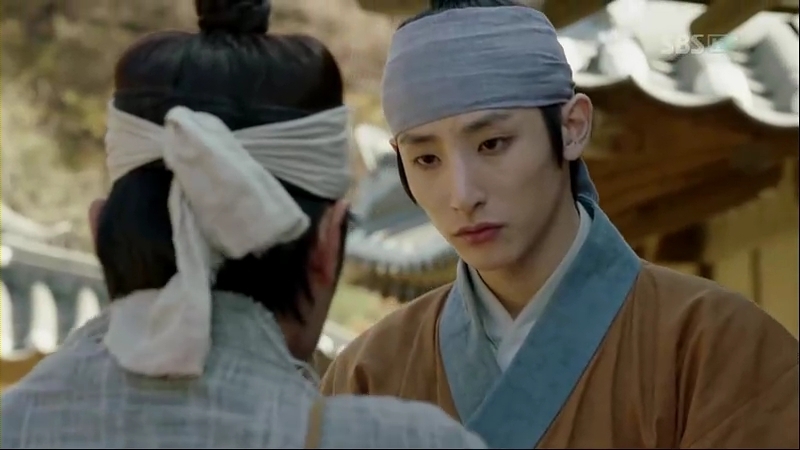 Moo-Hyul asks him to bring some meat to a place near Sungkyunkwan, and there, Sejong is already waiting for him. 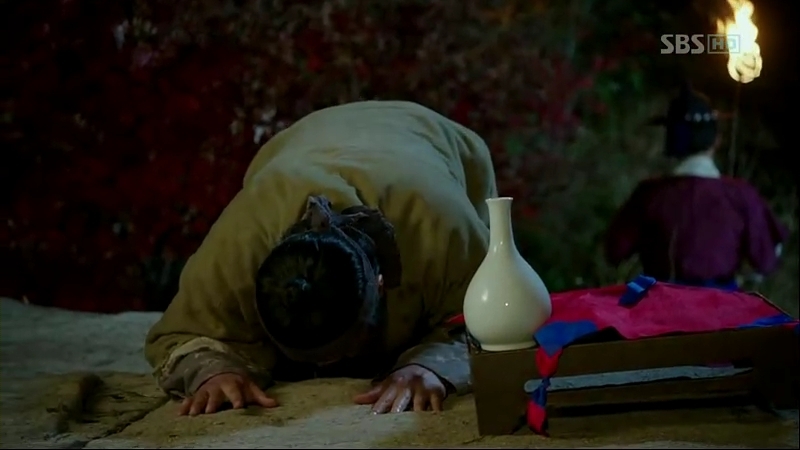 He quickly bows, but Sejong orders him to go up, nearer to him. He hesitates because of his status but Sejong insists him, so he approaches him humbly. 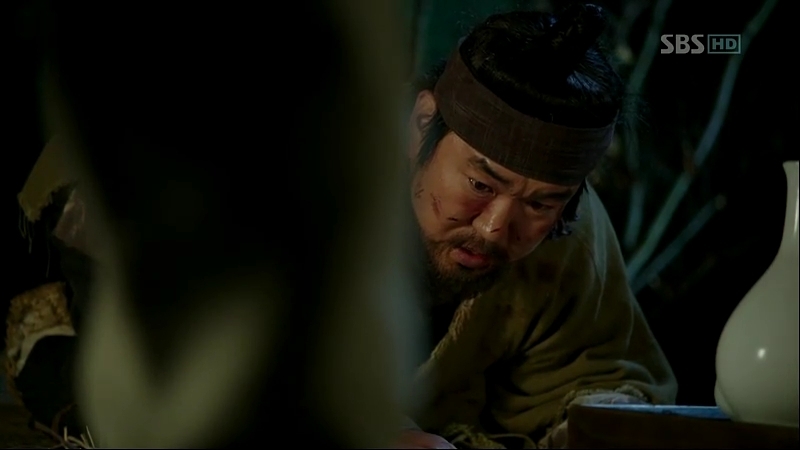 Sejong offers him a drink while talking about his loyalty. Ga Ri-On takes the cup and Sejong pours him the drink. As soon as he finishes it, Sejong tells Ga Ri-On to pour him one. 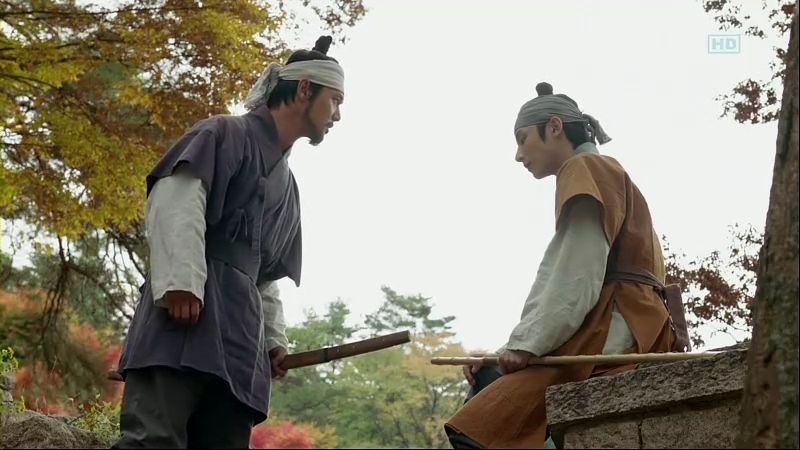 However, Sejong starts to tell him about the history of the place they’re at; it’s where Jeong Do-Jeon gathered the Sungkyunkwan scholars in its early years to discuss about what they learnt, and the young scholars often came there secretly to mourn for his soul after his death. Ga Ri-On pauses halfway, surprised upon hearing it, and resumes pouring the drink with shaking hands. 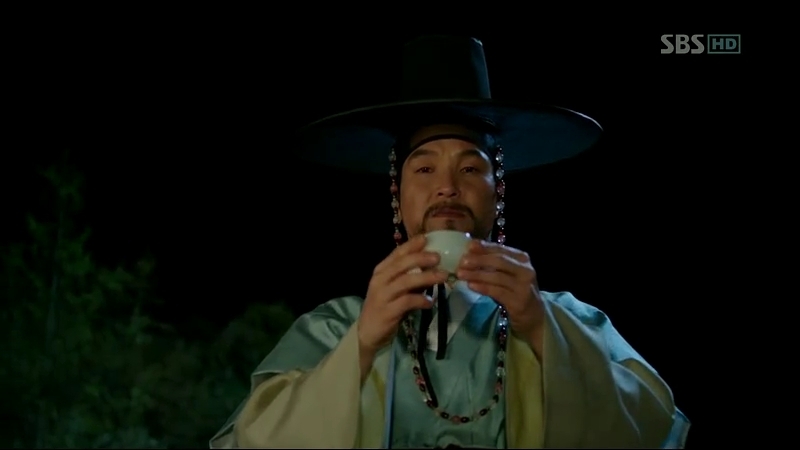 Sejong then stands up, holding his cup high in the air while Moo-Hyul and Ga Ri-On watch him. At the shrine, Scholar Shim further asks for confirmation, whether Ga Ri-On is the real Jeong Ki-Joon. Dam-Daek confirms it, and he wonders why he chose to be a butcher. She explains that it was so hard to trust anyone, and they had no choice but to do that, moreover after the lost of the Mil-Bon letter and the lack of devotion from their members. She tells him about the Root’s effort to gather the scholars’ faith towards the organization and the ceremony that Ga Ri-On has made the Sungkyunkwan scholars did (the same one as what Sejong told Ga Ri-On just now). With this, it is one of Jeong Ki-Joon’s preparations for the past 24 years to re-establish Mil-Bon. 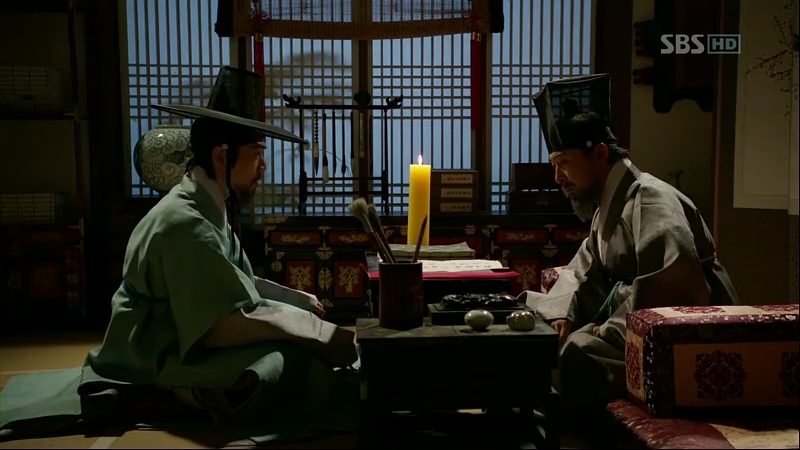 As Sejong makes an offering of the drink to the late Jeong Do-Jeon, he tells Ga Ri-On about the deceased, who once gave his lectures there to the scholars. Sungkyunkwan students flocked around the area to hear his words. Ga Ri-On thinks Sejong wants to punish him for bringing the meat there to the scholars, but he’s wrong. 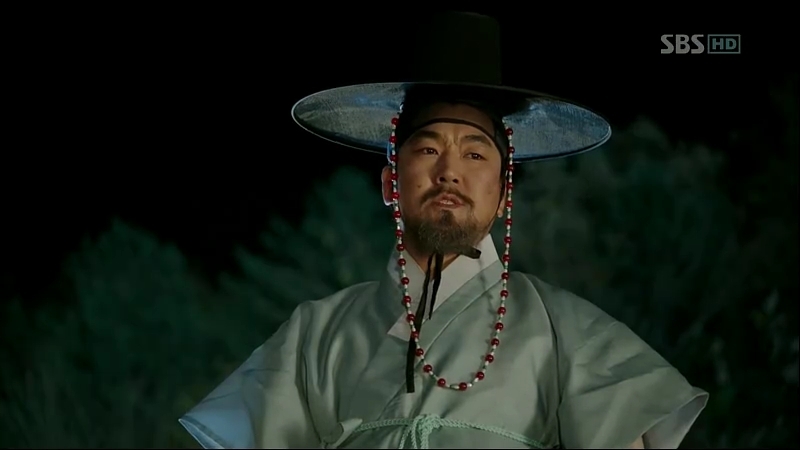 The King goes there, feeling that Jeong Do-Jeon, or Sam Bong, could understand the mission that he has assigned Ga Ri-On to carry out. He gets that conclusion after reading Sam Bong’s book, thinking that only the author would understand what he’ planning right now. Ga Ri-On is quite puzzled why Sejong orders for a dissection to be done and he doesn’t know how to prepare for it, but Sejong is going to conduct it at the palace, so he’ll do the preparations as he’s also going to see it personally and believes the palace is the safest place to do it. Ga Ri-On asks what type of subject is it he’s going to use as he thought it’s going to be conducted to animal, but it’s not. The subject: a corpse. So-Yi is sent by Sejong to request for one from Moo-Hyul’s assistant and requires it to be done secretly. He is shocked with the request, but he obeys it. At the palace, Chae-Yoon and Cho-Tak are doing their night patrol when they run into So-Yi, who’s just finished running her errands for Sejong. Cho-Tak leaves them alone to talk. So-Yi hands him a letter, expressing her gratitude to him for saving Ga Ri-On. Chae-Yoon tells her not to live her life solely for the king, and asks her to let go of everything, so that she could finally sleep in peace. She wonders if it really work on him, but he chuckles, admitting that he didn’t succeed thus being the reason he’ been living in grudge. He walks away, but she grabs his hand. 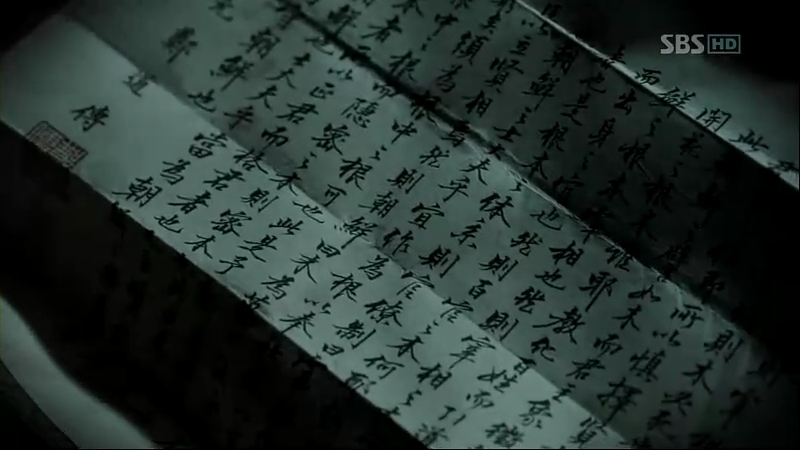 So-Yi leaves him a piece of paper, stating that having her faith in Sejong is what makes her able to escape from her nightmares. 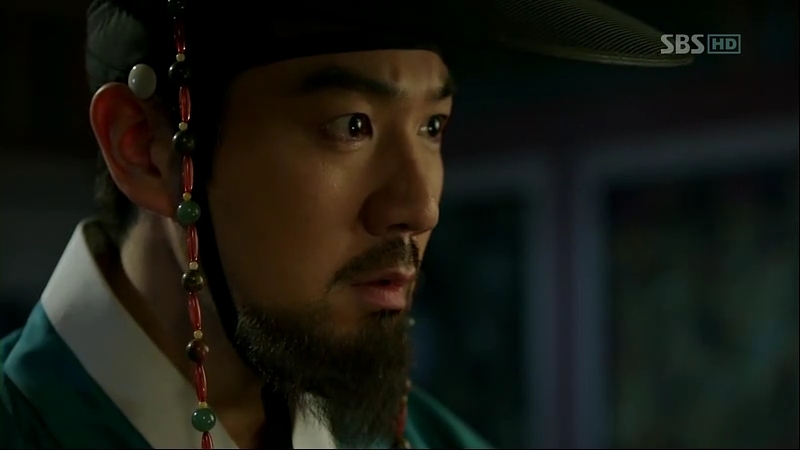 Ga Ri-On is still pondering about the mission Sejong entrusted to him, but soon someone comes. Dam-Daek and Pyeong bring Scholar Shim to greet the Root, Jeong Ki-Joon. Cho Tak scolds Park Po, accusing him of slacking off his task to watch Dam-Daek. He denies it and said he saw her left the shrine alone, with no one else there. Chae-Yoon breaks their argument, afraid that others would hear what they are shouting in the middle of the night. Suddenly, Park Po remembers about someone who came to find Chae-Yoon earlier. However, he didn’t allow the man to meet him. 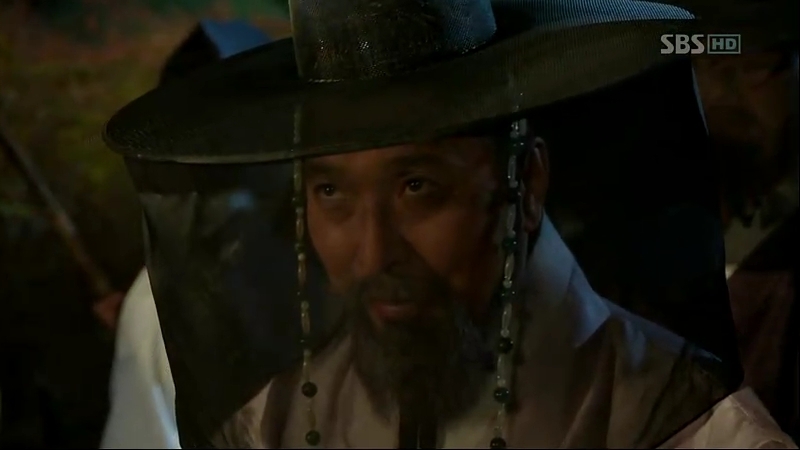 He passed the message the man left for Chae-Yoon: Ddol-Bok. Chae-Yoon and Cho-Tak, both are shocked to hear that. The next day, Yoon Pyeong receives the latest news from the man he sent to find his teacher. The man tells him about the odd behavior of Lee Bang-Ji’s servant, who didn’t go straight to his master, instead he came to their city, Hanyang. 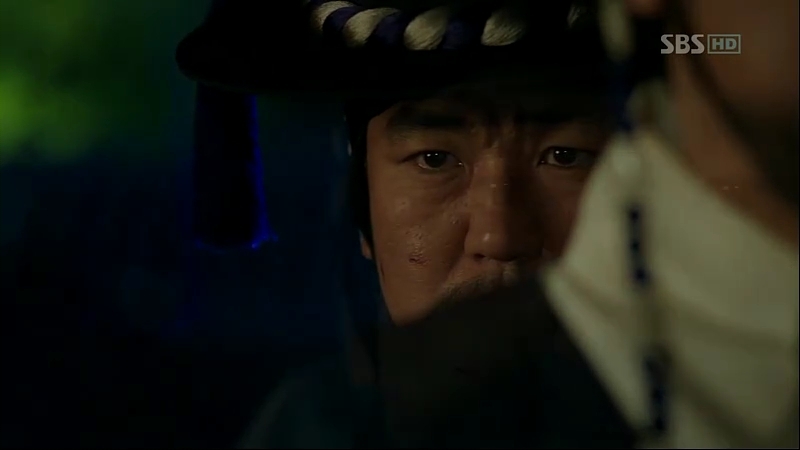 A man arrives at the palace gate to find a Gyumsabok guard, and luckily Officer Jeong is there. He introduces himself to the man, who comes to meet Chae-Yoon. Knowing that the man is from the North judging from his accent, Officer Jeong uses this opportunity to ask something from him (the same thing that Chae-Yoon offered to Moo-Hyul when he first arrived at the palace). Before the North man gets the chance to bring it out, Park Po appears, killing Officer Jeong’s chance to get it. However, while Park Po goes to call Chae-Yoon, Pyeong is there and the man realizes his presence. Without wasting any time, the North man quietly leaves, without Officer Jeong noticing his sudden absence. The predator is faster than his prey, and before the North man gets his chance to escape, Pyeong easily blocks him. Unknown to him, the North man marks his trail using a white powder while he’s being dragged away. Chae-Yoon and his buddies miss him by some minutes and they quickly follow his trail, not before Park Po releasing his anger towards Officer Jeong for letting the man go just like that. They see the footprint left by Pyeong’s leap, and Chae-Yoon knows it’s him who took the man away. Pyeong tries to find out what is the reason for him to meet Chae-Yoon, but the man refuses to tell him. He yells at him, saying that his master never take Pyeong as his student. 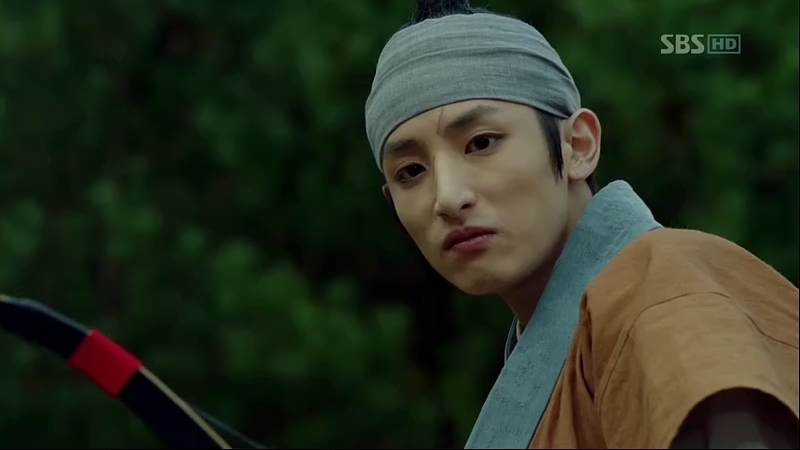 Pyeong slashes his sword and hurts him. 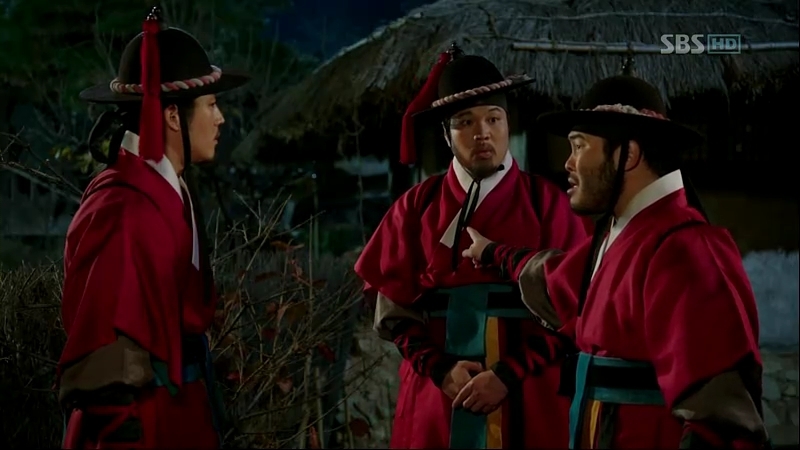 The three guards lost the trail, but Chae-Yoon refuses to follow Cho-Tak and Park Po’s suggestion to report the matter. Park Po is upset when the other two don’t tell him who Ddol-Bok is, so he decides to leave. But then, he discovers the white powder from the man on the ground. They follow the trail and Pyeong decides to leave after seeing them. Inside the shack nearby, Pyeong’s assistant tries to talk the North man into confessing what he know, but his ear gets bit by the man in his effort to escape. Chae-Yoon takes the man away while the other two go after the assistant, who runs away. They manage to catch him. Unknown to them, someone starts to follow them with a small branch in his hand. Chae-Yoon brings the man and asks what is the reason he came to meet him but unfortunately, before he could say anything, an arrow from nowhere stabs him right on his heart. It’s from Yoon Pyeong. A scream almost distracts Chae-Yoon, but he manages to block another arrow from Pyeong. Another scream is heard and as soon as his rival leaves, Chae-Yoon goes to check where the screams are from, and found his buddies almost unconscious with the man they captured. Much to their shock, the man is killed with a branch stabbed on his heart. They are not the only ones who are shocked: the translator from Taeppyunggwan, Kyun Jeok-Hee also witnesses this scene secretly. The man who followed Cho-Tak and Park Po is revealed, and he turns out to be the messy and silent man in Banchon. Dam-Daek finds out about what Pyeong did but he refuses to tell her the real reason behind it. The dead bodies of the North man and Pyeong’s assistant are brought to a place and Chae-Yoon suspects the killer is someone with excellent assassination skills that he never knew about and might be at the level of his master, or even better. 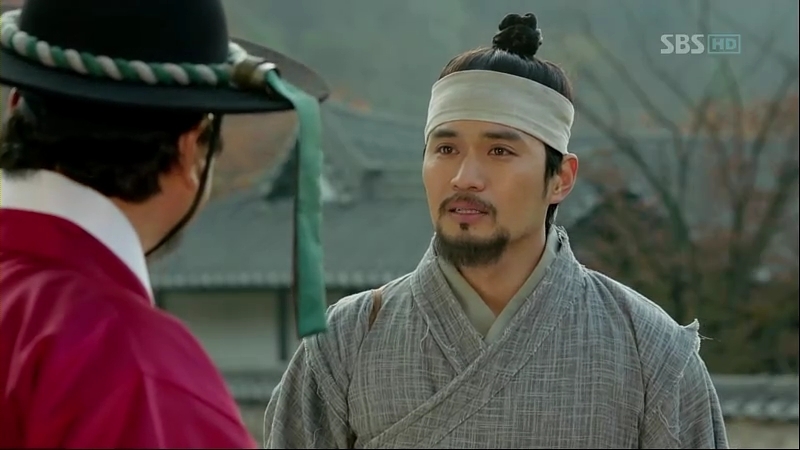 Scholar Shim meets Han to find out more about his history with the Root. 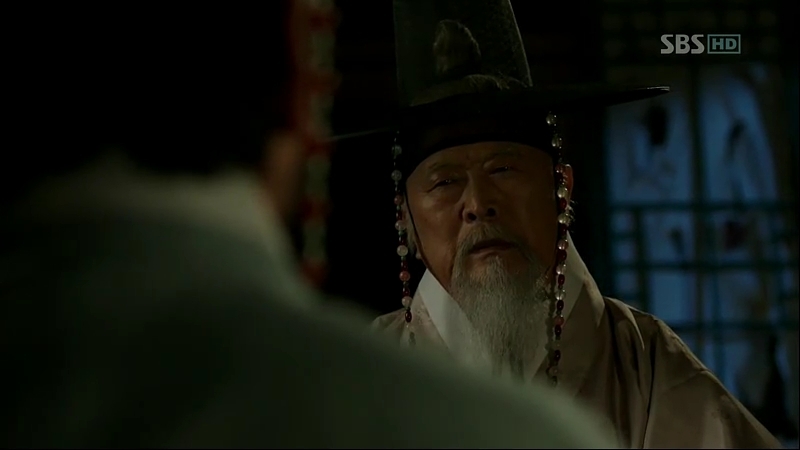 Han expresses his concern about the elders among them and in order to regain their faith, the thing is needed. At the same time, Chae-Yoon is asking Minister Jo about Mil-Bon’s warriors as he believes an organization like that should have some. Minister Jo tells him about Joseon’s best swordsman who was Jeong Do-Jeon’s personal bodyguard, but he went missing on the death of his master along with the Mil-Bon letter. The thing that Han means is the Mil-Bon letter, which is the last will of Jeong Do-Jeon. Scholar Shim is mad about Han that he thinks is only interested in a piece of paper than their current leader, but that piece of paper does have a significant role in bringing the members together. Minister Jo doesn’t really know the real content of the letter, but when he says the name Lee Bang-Ji, Chae-Yoon is shocked. Surprisingly, Lee Bang-Ji was the bodyguard and he’s the one who took the letter away. Han worries about the Mil-Bon letter, but Ga Ri-On doesn’t give much concern about it. He then leaves for the palace. Minister Lee receives the invitation to meet the Root and he’s contemplating between to go or not. Minister Jang suggests him that he doesn’t go and with the power he has, try to knock away the organization. He admits to have such thinking, but he keeps thinking about the Mil-Bon letter, which isn’t a normal will or paper. Chae-Yoon again goes to his secret tree and digs out the sack that contains the Mil-Bon letter while thinking about his teacher. He finally realizes why Lee Bang-Ji is living secretly, far away from people as he’s running away. However, the letter means nothing to him; the only thing that matters to him right now is his father’s will. Ga Ri-On is on his way to the palace, while the preparations are being made. The court ladies laugh about Sejong’s weird clothes tonight and they assume he’ll be doing something fun again. One of the court ladies, Duk-Geum is preparing her brushes and inks, but they are also in dark about the activity that night. Paeng-Nyeon tries to dig some info about it, but she tells him to go ask the king himself. Minister Jeong is with Prince Gwangpyeong, who is worrying about the activity. 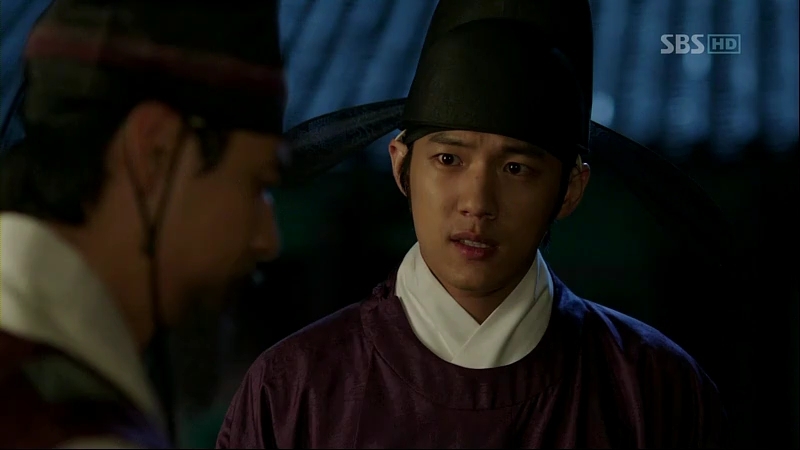 They are nervous and don’t exactly understand why Sejong is planning it, but the prince trusts his father. Meanwhile, Ga Ri-On has arrived at the palace, all dressed up in a guard’s uniform to disguise himself. He’s brought to the autopsy room by Moo-Hyul. Sejong enters the room, where a corpse is already there. Duk-Geum is shocked to see a corpse in front of her, and Sejong orders Ga Ri-On to dissect the parts where human vocal originates: the neck and the mouth. He watches intently what Ga Ri-On is doing while Duk-Geum is painting the parts of the mouth and the neck. She faints after she finishes her job. 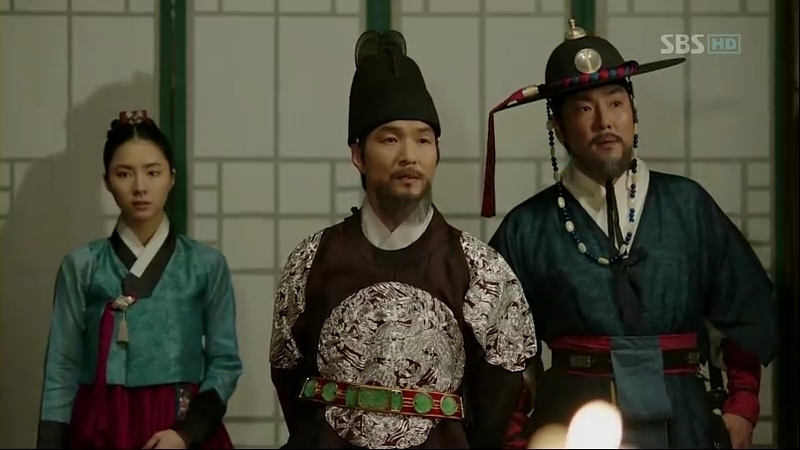 Minister Lee arrives, an unforeseen circumstance by Minister Jeong and Prince Gwangpyeong. 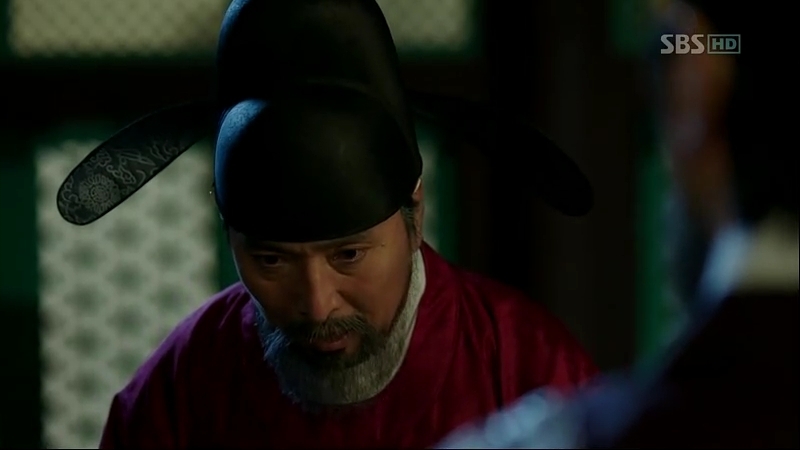 They are worried Minister Lee would suspect something as he suddenly asks for the king, but luckily Sejong walks out right on time. He wants to tell something to him, but Ga Ri-On appears behind Moo-Hyul, clearly giving him a warning not to do anything foolish. Minister Lee cancels his intention. Sejong is afraid Minister Lee would notice something, but Moo-Hyul assures him he didn’t. Duk-Geum returns to the room, still shocked over the dissection. She discloses it to the court ladies and the scholars, unable to ear it herself. Ga Ri-On explains parts of the neck and mouth to Sejong and after mustering up his courage, he decides to ask Sejong the reason why he’s doing it. Sejong calls So-Yi in and explains the reason: he’s trying to find a way to make her able to find her voice again. Ga Ri-On finds it hard to believe Sejong is doing it solely for So-Yi, but he doesn’t ask anymore. 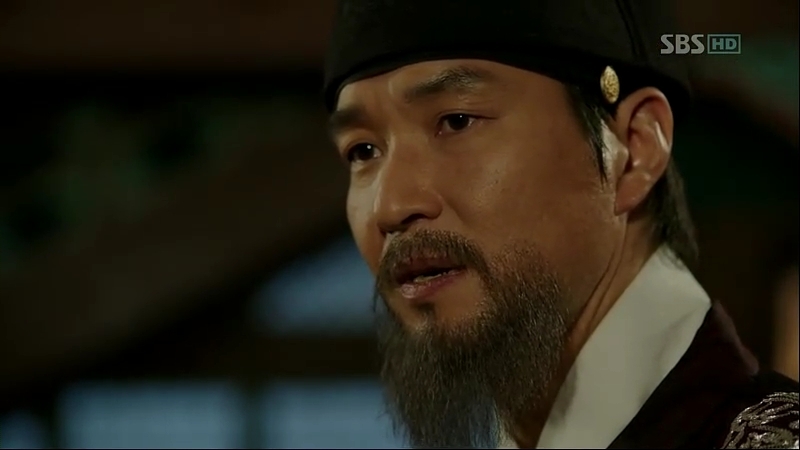 After Ga Ri-On leaves, Sejong tells So-Yi that his words before isn’t a lie. He is making the alphabets and sounds for her. He makes her practice doing the sounds, but nothing comes out from her mouth. She gazes at him, pleading that he doesn’t try too hard. Ga Ri-On is visited by Dam-Daek and he thinks that there might be something secret going on, and perhaps So-Yi doesn’t know anything about it even the King says it’s for her sake. At the same time, some scholars get out of Sungkyunkwan secretly. Scholar Shim heads to a place, where he’s not allowed to bring along his assistant. 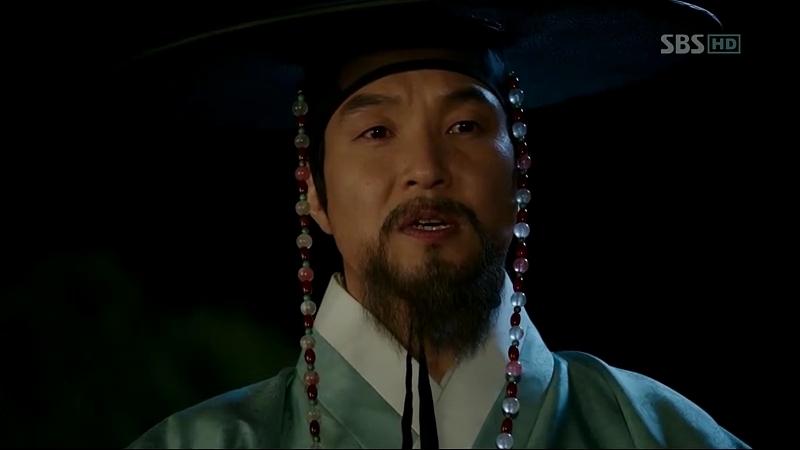 Sejong enters the room, only to be greeted with solemn, angry faces of people inside and a crying Duk-Geum. 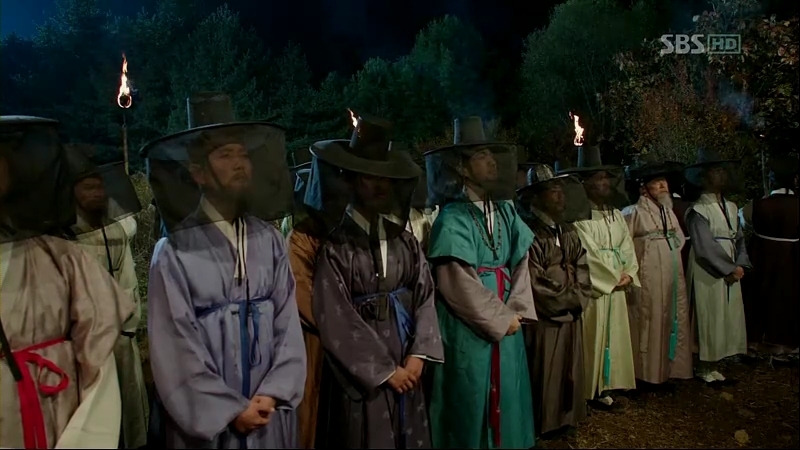 Scholar Shim walks towards a crowd with noblemen wearing veiled hats and Han comes up to greet them. Before Han gets the chance to welcome them properly, Scholar Hye Gang reveals himself among the crowd and everyone bows to him, including Han. Scholar Hye Gang wants the Root to show himself in front of them. Paeng-Nyeon and Sam-Moon lash out their anger on Sejong as they feel what he has done isn’t humane and he’s too absorbed in his effort to show his achievement. They request for Sejong to explain for them to understand, as they can’t exhibit trust without understanding. He refuses to explain as it’s too hard to do so, but So-Yi persuades him to do it. He tells them it’s because of the weaknesses around the alphabets. The Root, Jeong Ki-Joon appears in the midst of the crowd. He is happy to see the roots that have grown deeper even though their leader has long passed away. He declares Joseon as a country of noblemen, just like what has been implemented by their founder, Sam Bong. 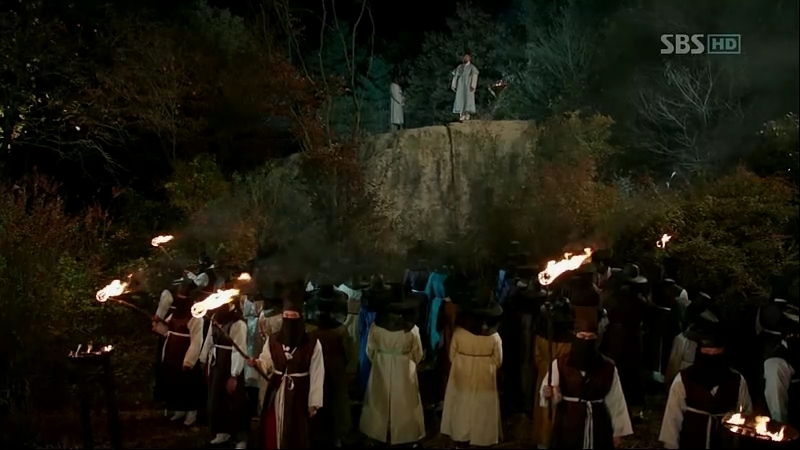 Their first task is to close down Jip-Hyun Jeon, where the scholars are limiting the officials’ power inside the palace. He also wishes to limit the king’s power. All of a sudden, Minister Lee appears. He requests Jeong Ki-Joon to show them the Mil-Bon letter, or Jeong Do-Jeon’s will. Ki-Joon realizes that is the reason Minister Lee comes to the meeting. The noblemen urge Ki-Joon to show it. Without wasting his time, he recites the will. They look at him in awe, except Minister Lee. He suspects the Root doesn’t have the will in his hand. 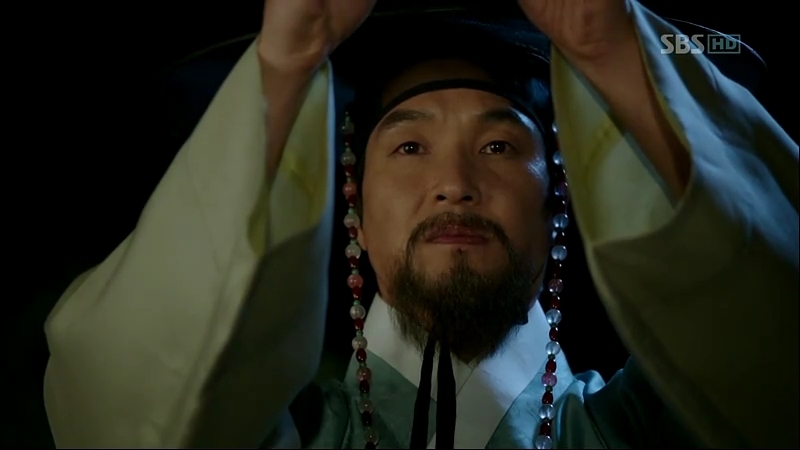 The meeting ends with an offering being made to their founder’s soul, and Ki-Joon meets Scholar Hye Gang personally. When he was asked about the will, Ki-Joon explains why Sam Bong established the concept of Mil-Bon, in order to limit the power of the ruler and prevent the king from doing something for his own benefit like what Sejong is doing right now inside the Jip-Hyun Jeon. He thinks that Mil-Bon letter is just a will and nothing more than that. However, Scholar Hye Gang doesn’t want the noblemen and the scholars’ lives to be wasted without any solid reason, and he requests for the will to be shown to them in four days. If Ki-Joon can do that, he, with the scholars, will do anything for Mil-Bon. Chae-Yoon is drawing something which he calls ‘the thing that can lure the Mil-Bon out’. Ga Ri-On, on the next morning, is still thinking about the will while holding the pouch. He is distracted by a man, and he goes out to do his work. He yells playfully at some kids drawing on the notice boards. After they leave, he sees something that surprises him. So-Yi also sees the notice at another place, a shocked expression is plastered on her face. 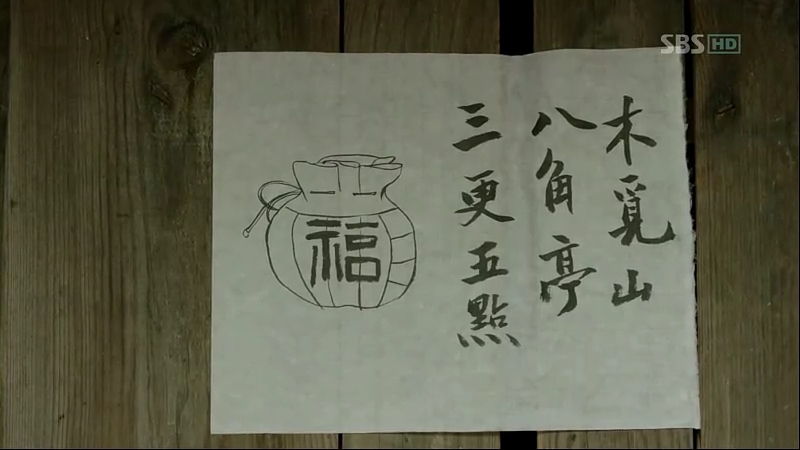 The notice shows a drawing of the pouch in Ga Ri-On’s possession and an appointment set at Mt. Mokmyeok, 1 a.m. This episode is mainly on Mil-Bon as Jeong Ki-Joon has shown his true self, and this marks the active participation of the organization in the story without anyone to stay hidden. Currently, the main participants in the conflict are supposed to be Sejong against Mil-Bon, but Chae-Yoon is also dragged into the matter because of his fate. Too many things are yet to be disclosed and it’s still far away from its ending, so I’m hoping the story maintains its consistency and continues to amaze the viewers. 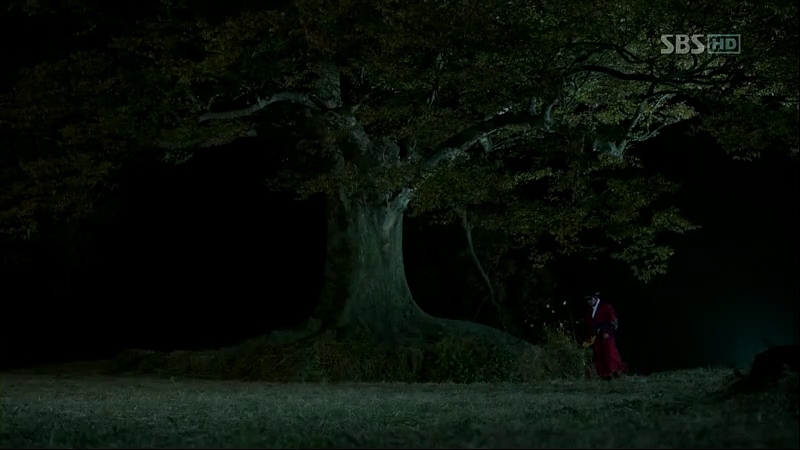 And not to mention, I love the beautiful cinematography in the drama.